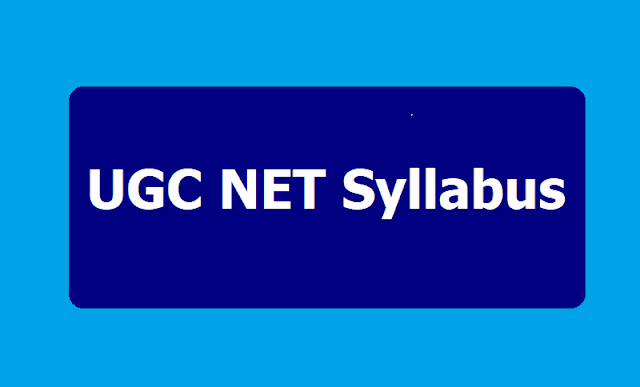 UGC NET Updated Syllabus 2019 (Applicable from June 2019 UGC NET Onwards): UGC NET syllabus 2019 for June session: National Testing Agency (NTA) has updated the syllabus of all papers for UGC NET June 2019 session. Candidates willing to appear for the July session exam should follow the updated syllabus of their subject. Moreover, the syllabus of paper 1 of UGC NET exam GENERAL PAPER ON TEACHING & RESEARCH APTITUDE . This paper is common for all candidates and is compulsory for every candidate to qualify. * UGC NET Paper 1: It will be of 100 marks and will contain 50 objective type compulsory questions. Each question will carry 2 marks and will be of general nature and will test the teaching/research aptitude of the candidate. The duration of the same will be one hour (9:30 am to 10:30 am). *UGC NET Paper 2: It will be of 100 marks and will contain 100 objective type compulsory questions. Each question will carry 2 marks and will be based on the subject opted by the candidate. The duration of the same will be two hours (11 am to 1 pm). The Test will be conducted in Computer Based Test (CBT) mode only. The candidates who desire to appear in the test may see the detailed Information Bulletin for UGC-NET which will be available on the website www.nta.ac.in and www.ntanet.nic.in w.e.f. 1st September 2018. The main objective is to assess the teaching and research capabilities of the candidates. The test aims at assessing the teaching and research aptitude as well. Candidates are expected to possess and exhibit cognitive abilities, which include comprehension, analysis, evaluation, understanding the structure of arguments, deductive and inductive reasoning. The candidates are also expected to have a general awareness about teaching and learning processes in higher education system. Further, they should be aware of interaction between people, environment, natural resources and their impact on the quality of life.